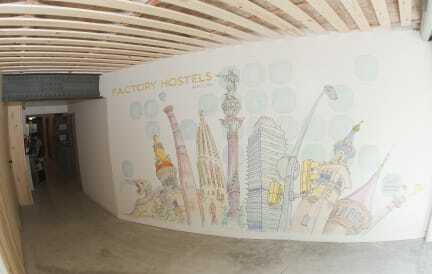 The Loft Hostel i Barcelona, Spania: Bestill nå! •	Cancelations are free of charge until 60 days before the arrival date. •	Cancelations within 60 days of the date of check-in will have a 30% charge of the total reservation. •	Cancelations within 30 days of the date of check-in will have a 60% charge of the total reservation. •	Cancelations within 15 days before the date of check in will have a 100% charge of the total reservation. Please take into account that this is appicable to the total amount due to the hotel; NOT to the depost paid at the moment of the booking to Hostelworld. A security deposit of 20€/person is required at the moment of check in. It will be returned at the check out after checking there has been no damages in the hostel facilities. •	30% of the total amount due to the hotel must be paid at the moment of the booking. •	Another 30% must be paid 30 days before the arrival date. •	100% of the total booking must be paid 15 days before the arrival date. 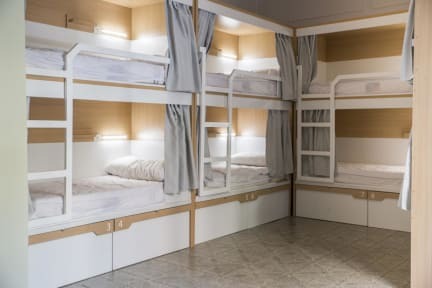 The Loft Hostel offers a high-quality service, what starts in the dorms, with our personally designed bunk beds with curtains that provide privacy whenever our customers want. Each bed has an individual light, a power plug and a spacious locker. Heater and air conditioning are also provided for free in all our dorms. Our common areas are where everybody can socialize in the property. In the kitchen, there are always people cooking and sharing experiences of Barcelona with others. You can also take our sweet breakfast every morning until 12 p.m., no hurries when you stay at The Loft Hostel. The whole staff is delighted to advise our guests on itineraries, transportation, restaurants, parties and anything else they might require. Come to The Loft Hostel and love Barcelona.